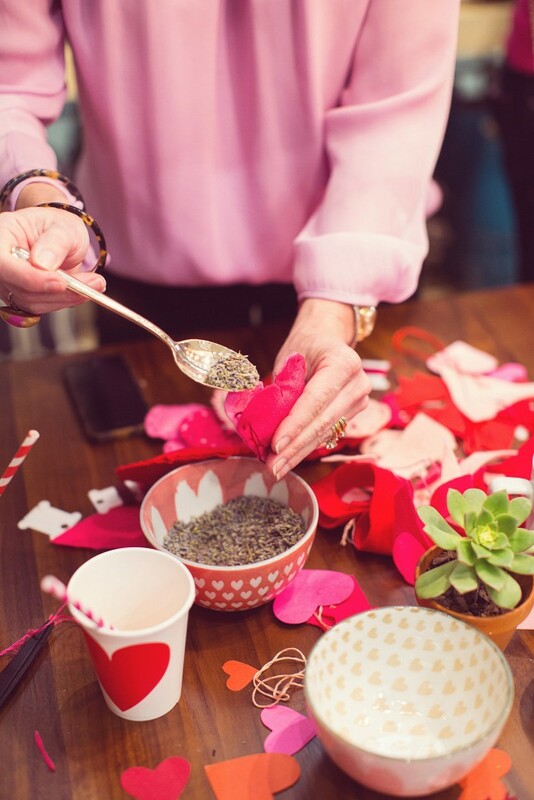 Last week at my West Elm DIY event, I taught a group of crafty ladies to make a festive felt heart garland to celebrate Valentine’s Day. 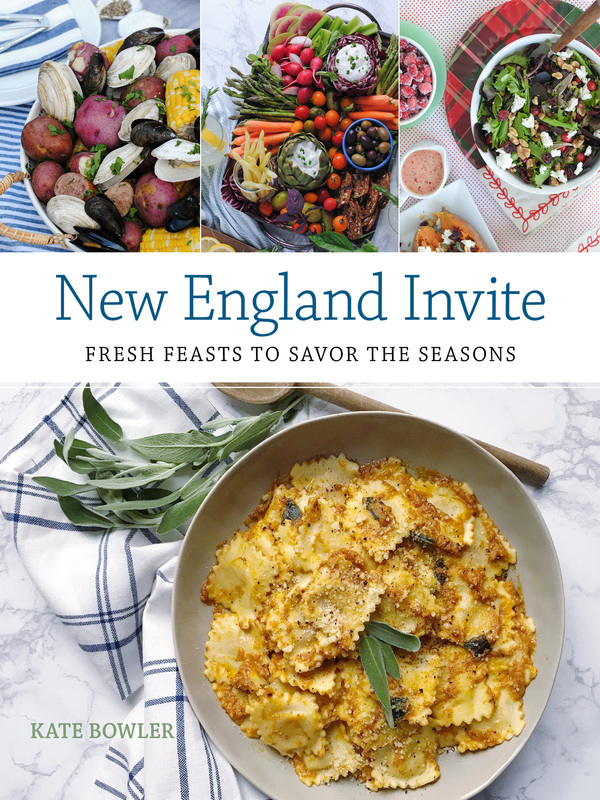 I thought I’d share the instructions here so you can make one at home too! 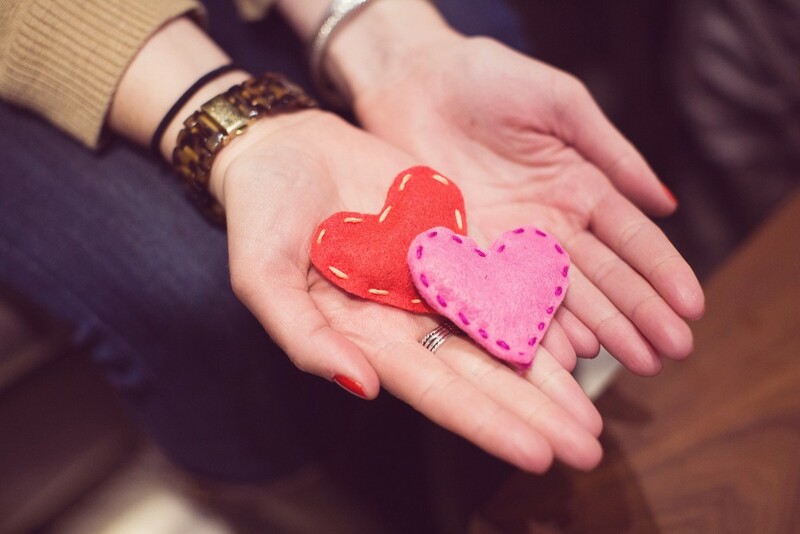 First, using two pieces of felt layered on top of each other, trace and cut out two hearts. Next, using about an arms length of embroidery floss, tie off the end and begin sewing the two layers together (starting at the tip of the heart). When you get to about 3/4 of the way around the heart shape, you want to stop sewing and stuff your heart. We used pillow batting for the garlands and pins, and loose dried lavender to make sachets. 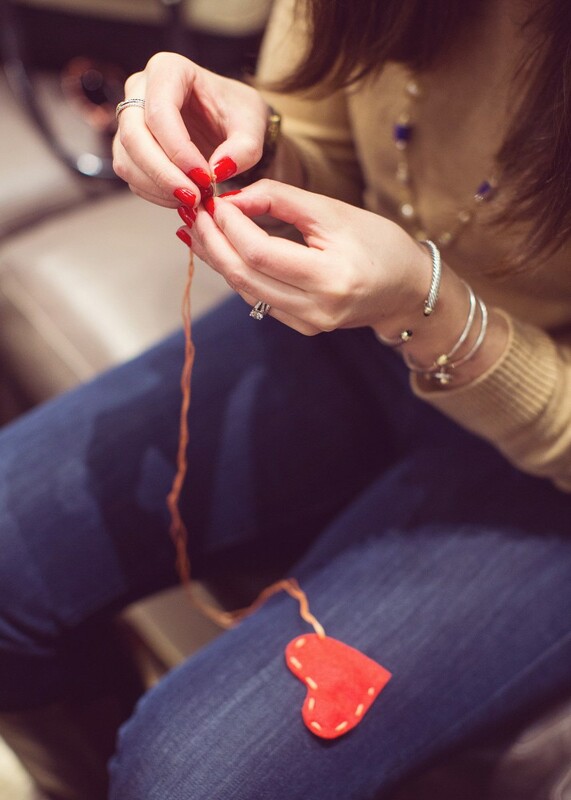 Once the heart is stuffed, pinch the layers together with your hands and sew the remaining 1/4 of the open heart closed, tying off the end with a knot. 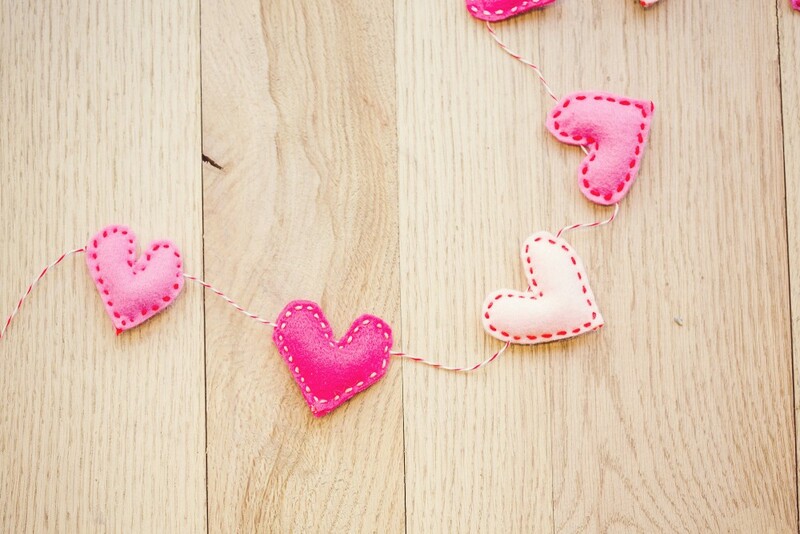 Once you have your stuffed heart, you can sew on a pin to the back, add hook to make it a hanging sachet for your closet, or string multiple hearts together to make a sweet garland for your bar cart or mantle! 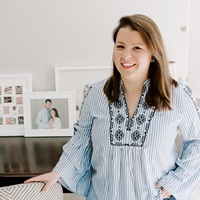 All photos via the fabulous Bring To Light Photography! 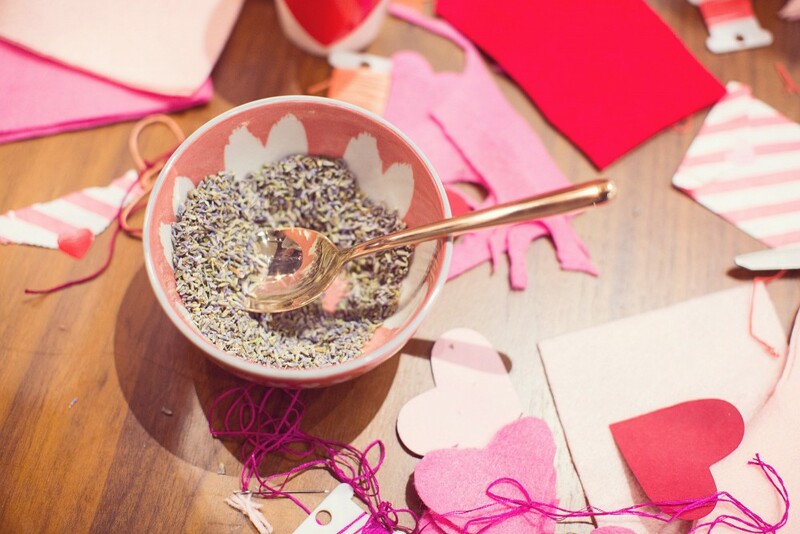 West Elm Valentine’s Day DIY Event. Thyme Greyhound. 3 Responses to "Felt Heart Garland." The lavender is so sweet, what a perfect and personal touch of love! Not to mention the end result is so pretty! Great valentines gift for anyone! 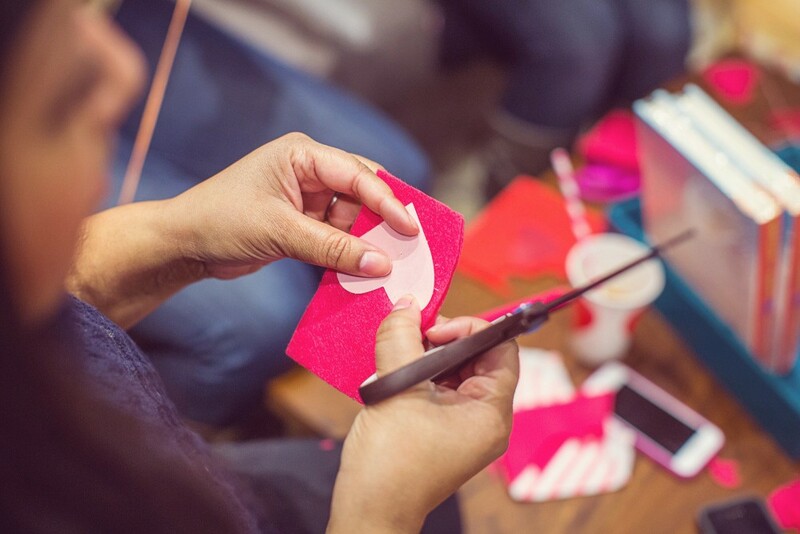 first – the girls LOVED this crafternoon (me, too) and second – when’s the next one??! !